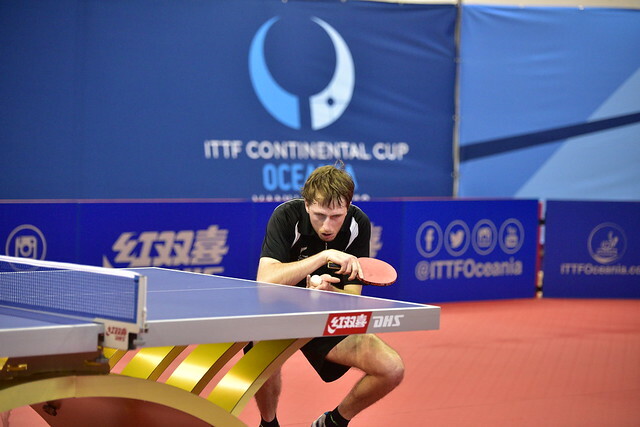 No surprises on Day 1 at the 2018 ITTF-Oceania Cup as the players finish the day as they started. The first day of action in the Women’s Singles at the 2018 ITTF-Oceania Cup concluded this evening, with the results going according to script. There was no deviation from the seeding, as Jian Fang Lay topped Group 1, while teammate Melissa Tapper safely navigated her way through Group 2. It’s been cruise control for most the athletes here in Port Vila, as the group stage played out like a paint by numbers. No upsets yet, but with the knockout rounds starting tomorrow, it will be do or die for the athletes. The pressure will be on as both prize money and a place at the 2018 ITTF World Cup is on the line. Saturday morning promises to be full of action. The first round of the knockout stage will see Fiji’s Sally Yee taking on New Zealand’s Natalie Paterson, while Zhiying Cheng will be up against Grace Yee tomorrow morning in Korman Stadium.